Over the past several years, many urologists have gravitated to Twitter. Through Twitter we have shared information and experience, created relationships, and built community. Twitter has brought us together in many ways never thought possible before. 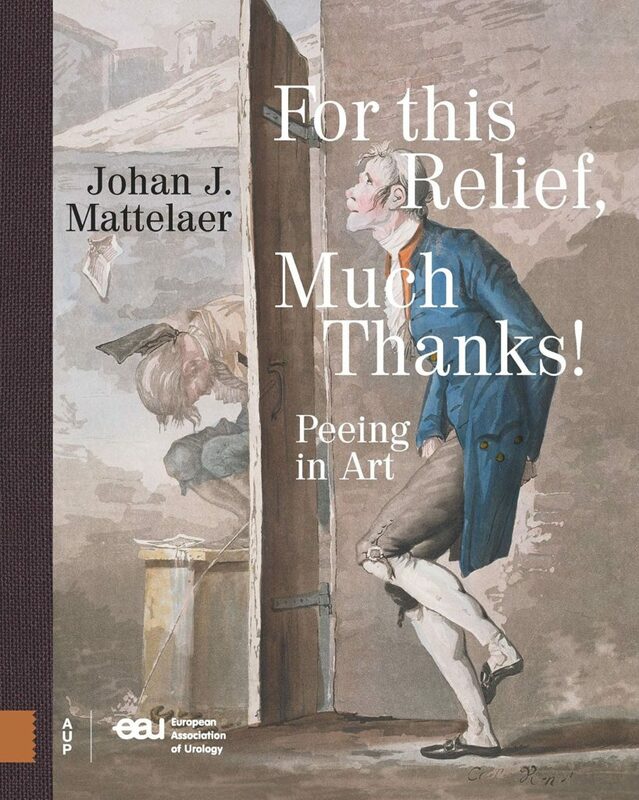 Some great examples include #UroSoMe, #prostateJC, #CUAJC, and the grandfather of them all, #urojc. Behind our screens, however, many of us face significant challenges, both professional and personal. Urologists around the world find themselves spending more and more time typing on their keyboards and less and less time in face-to-face conversation with patients. 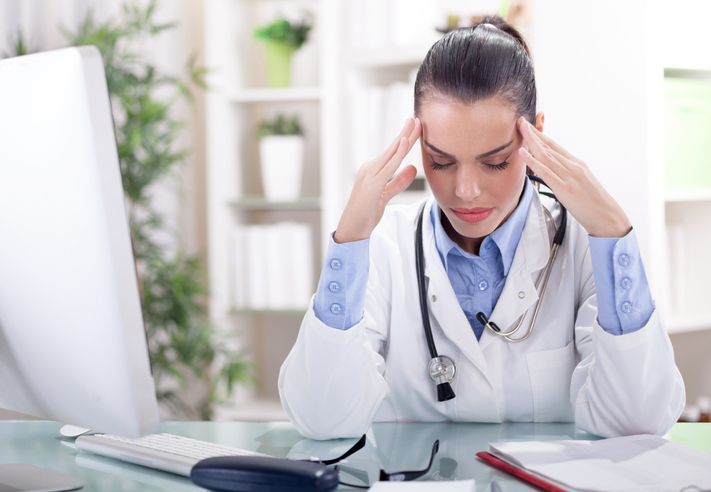 Growing rates of burnout in urology are being reported in the United States. There is also a burgeoning trend toward consolidation, mergers, and loss of autonomy in healthcare. When you add in the current global political and cultural turmoil, even Twitter starts to lose its luster and become divisive. Recently, at the invitation of my friend Pam Ressler, I had the opportunity to participate in a January haiku challenge. To be honest, I was really busy in January, and initially, wasn’t all that excited about it. However, I quickly began to realize that the discipline of writing a daily haiku made me feel better. Over the course of that month, I developed a new sense of gratitude. By spending just a few minutes, here and there, thinking about the next poem I might write, the recurrent annoyances of each day became fewer and smaller. Started a new hashtag this morning to help connect the global urology community via poetry. In the spirit of friendship, I invite you to join me in celebrating life, and our noble profession of urology, with the power of creative writing and poetry on Twitter at #UroPoet. My hope is that everyone will feel welcome to use this hashtag, responsibly, and to share the things they love most about our profession, our patients, our families, and life itself through the use of creative writing and poetry. In the short time the hashtag has been active, topics ranging from research to prolapse have been posted in the form of limericks, essays, song lyrics, poems and haiku. I hope you will take a moment to at least follow along and consider making a regular or one-time post of your own – adding the hashtag #UroPoet. 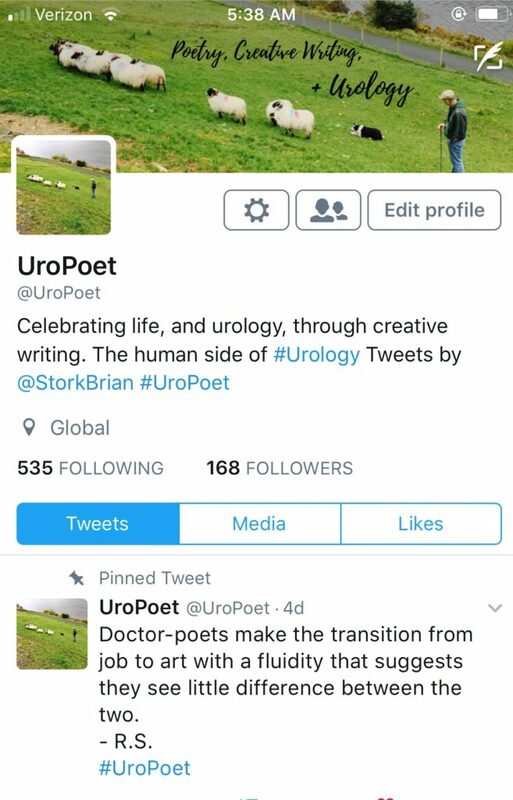 I’ll be posting regularly from a second Twitter account @UroPoet where I will also be retweeting #UroPoet tweets. If the spirit moves you, you can also follow me @StorkBrian.